At each visit, the Rao's family wants it to feel as if yours is the only table in the room. 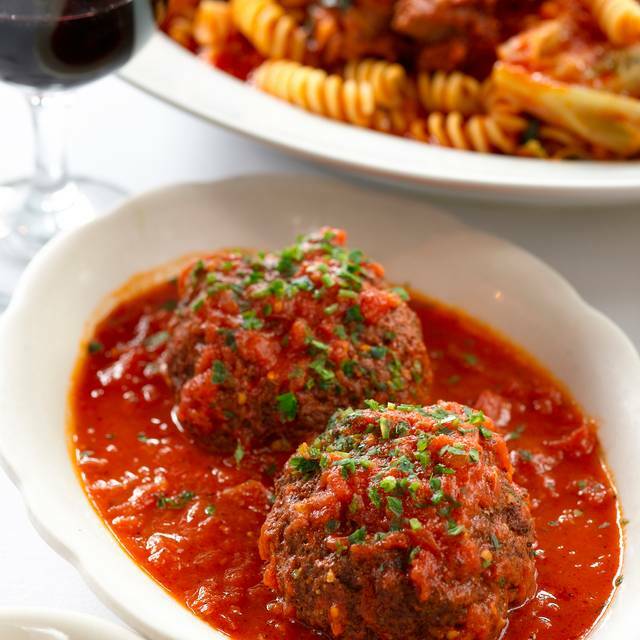 The impeccable Southern Italian fare stems from the dishes' high-quality ingredients, such as house-roasted red peppers, freshly grated Pecorino-Romano and Parmigiano-Reggiano cheeses, Felipo Berio olive oil and certified San Marzano plum tomatoes imported from Italy. For more than 115 years, that's the way the family has cooked in their iconic New York kitchen, and tradition is alive and well at their Las Vegas restaurant. The time-honored staples include perfectly cooked pastas, risottos and the mouthwatering steak bistecca; cooked perfectly and sliced tableside. 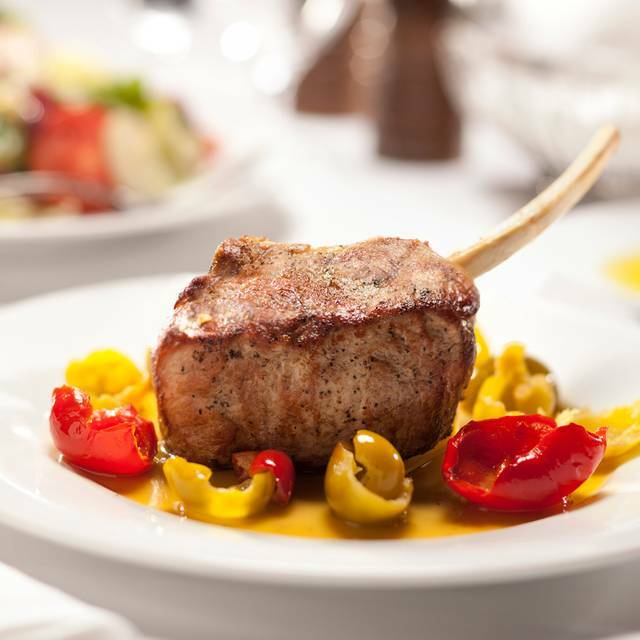 The classic veal chop is pan-seared and topped with a medley of hot and sweet cherry peppers. I had a very good time. The food was absolutely phenomenal. The meatballs are a must try. The veal parmesan was amazing. Overpriced and not good. Prices high and portions small. The sauce is not even good. Will not recommend or return. It was an outstanding evening. The service was remarkable, the Manager came by the table and made sure we had everything we needed. The food was everything we thought it would be. The meatballs and lemon chicken were wonderful. It was a great evening can’t wait to go back. 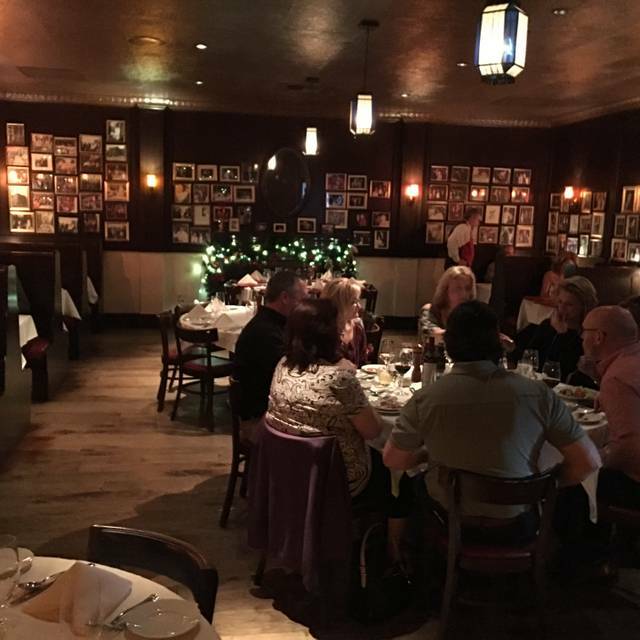 Although the food was excellent and we enjoyed our meal, we were not big drinkers and felt our waitress was not attentive as she was with other tables. It was also very loud, but that did not interfere with our experience. She also asked if we wanted dessert and then didn’t wait for our answer and brought the check. I also had noted it was our 65th birthday on Open table, our concierge followed up and nothing was done. Rao’s restaurant is the most amazing Italian. I had the penne vodka and it was delish. My husband had the gnocchi and ate every last drop. It’s pricey but nothing more than usual for dinner in Vegas. Famous meatballs were too saturated in sauce that made them mushy. Sauce was a tad acidic. Enjoyed the beat salad very much. Great place and food. A bit loud but worth it !! Great food and lovely place - great service ! First time dining at Rao's. Great reputation and decided to celebrate a 50th birthday here. It started really well... we ordered the meatballs for an appetizer (several orders!). Wow. They were perfect in every way. So, we high hopes for the main course. I ordered the most expensive Chicken Parmesan that I had ever had in my life ($44). Needless to say, I thought it would be amazing. Wow, was I wrong. That was the most mediocre Chicken Parm I have ever eaten. Soggy, and it tasted like the sauce was just tomato paste (not sauce... but a thick overly tomato-y paste). Spaghetti side nothing to write home about. I was sad. My guest's Linguine and clams were good, but lacked sauce. Same true for the Shrimp scampi. My husband had a "Fruiti d'Mare" dish that he totally enjoyed, but the other dishes were not as stellar as we hoped .. especially for that price! 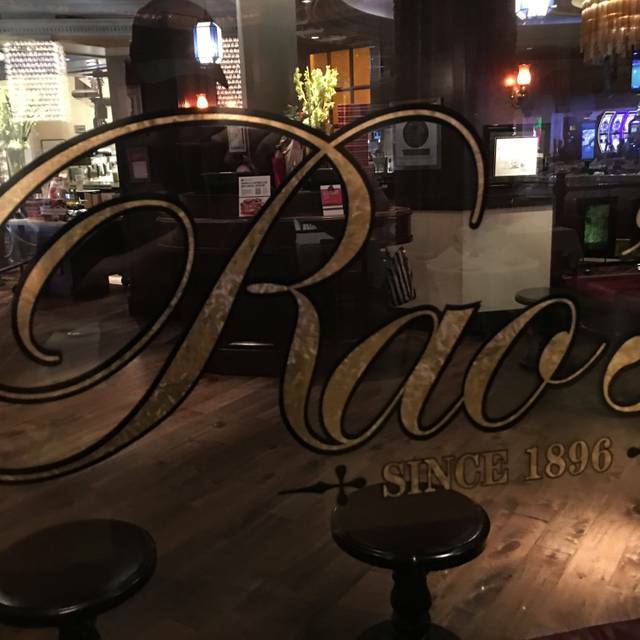 Whenever we are in Las Vegas we make sure we get a reservation @Rao's. 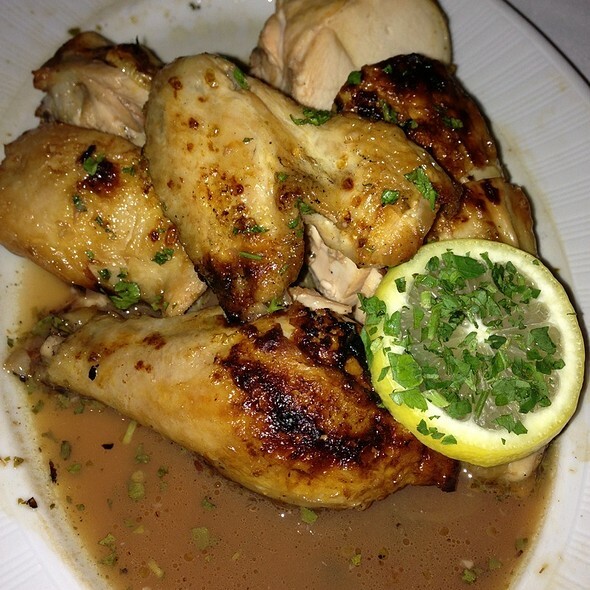 The food is simply amazing and the staff is professional, polite and attentive. Love the atmosphere of this place and the dark settings surrounded by celebrity photos. 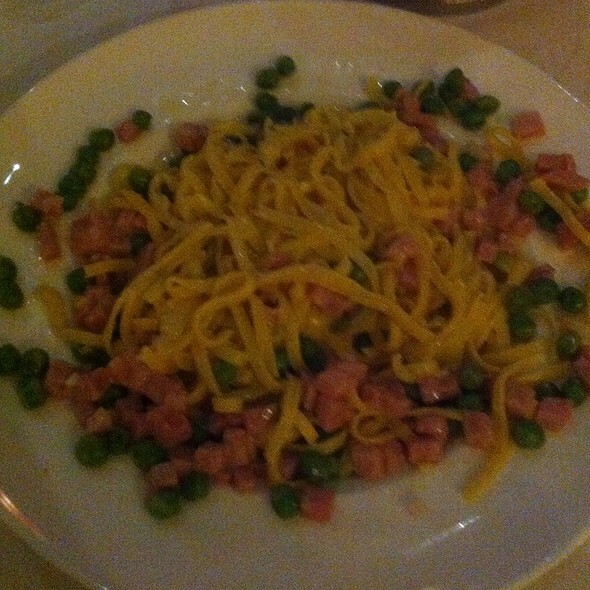 We had the mozzarella and Caroza, the eggplant and the pasta Carbonara. Dessert and coffee as well and a nice Chianti. Only 'flaw' in Rao's is the portions are HUGE so recommend sharing dishes if you are going to eat more than one course or stay in a hotel with a fridge and microwave so you can take the leftovers with you!!!! Other than that, eaten there 6 times in last 10 years when visiting Vegas and each time the food and service have been outstanding! We sat outside on patio so the noise was a little loud but we always like sitting here. I come here often when I come to Vegas and every time I come you guys never disappoint it’s always a good experience the food is amazing like always the server was very friendly, funny making jobs and being aware of our table even though we are on the younger side he treated us like everybody else so thank you! 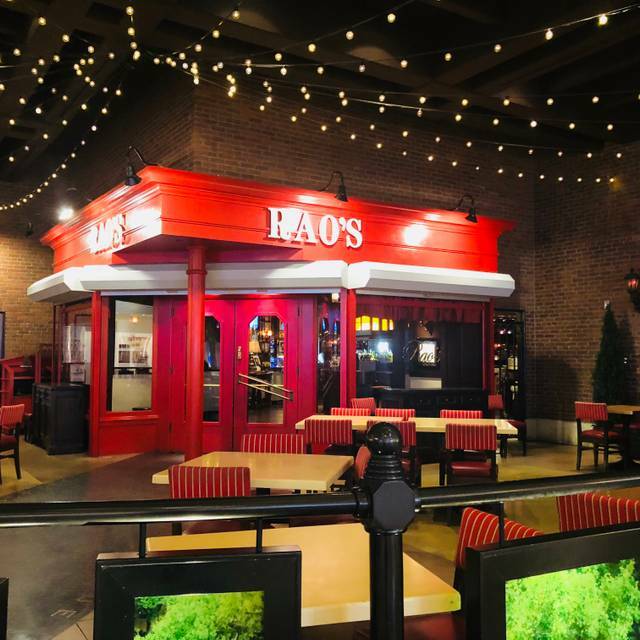 But all in all Rao’s is amazing it’s a must when you come out to Vegas! Great place to eat and enjoy the atmosphere of Caesers Palace, Las Vegas.. Overpriced, average tasting dinners. Crab carbonara was bland and had 1 small crab leg. Chicken Parmesan was not any better than what one might be served at Olive Garden. The meatballs were the best part of dinner and very tasty. Food was just ok. Comparable to an Olive Garden. A nice dinner with a group of 4. We ended up doing a family style service and shared a bunch of plates. A little more expensive than it needed to be - but a good experience. Delicious food. Slow service. Quite expensive for what we received. I love rao’s. But everytime I go to the Vegas location something changes. This time it was what they served the food in. These small casserole dishes. From seafood salad to the meatballs to my lasagna! I asked the waiter if he could take my lasagna back and put it in a plate as it should be served. He actually said oh if we take it out it might fall apart! If a lasagna falls apart that easy and it needs a small casserole dish to keep it together it ain’t that good of a lasagna. It was crammed in this dish. It’s difficult to cut and work around. It was a presentation with the meatballs that they come out on a nice plate. Not anymore.oh and when waiter brought back out my lasagna it was all intact! Food was still excellent they need a refresher course in presentation. As always, the food was very good. The biggest problem was simply that it was far too noisy to have any type of conversation with anyone at your table, and that is not acceptable. I booked Raos a good month before are holiday. I was so excited to go there. What was suppose to be a special night was cut very short. We were seated in an area where there was three large groups of people. It was so loud that my husband and I could not hear each other speak. We placed are order and was planning to request to be moved when literally two mins later are food landed in front of us. It was the spread of a fast food restaurant and I was shocked! The food itself was good enough but the experience and service we received will keep me from returning to Raos. I believe start to finish are experience last 17 mins and it wasn’t cheap. Never again! The plus is it good Authentic Italian crusine. However, the service was not great which could be because there was a large group that was being served. This I am sure contributed to the noise level. We were put in among the large group at a boot in the very back of the room. It was very noisy. Probably won’t go again. We had a party of 7 and it worked very well. The noise level is load in there which made conversation difficult at a large table. The menu is diverse and very innovative. Everything was delicious. 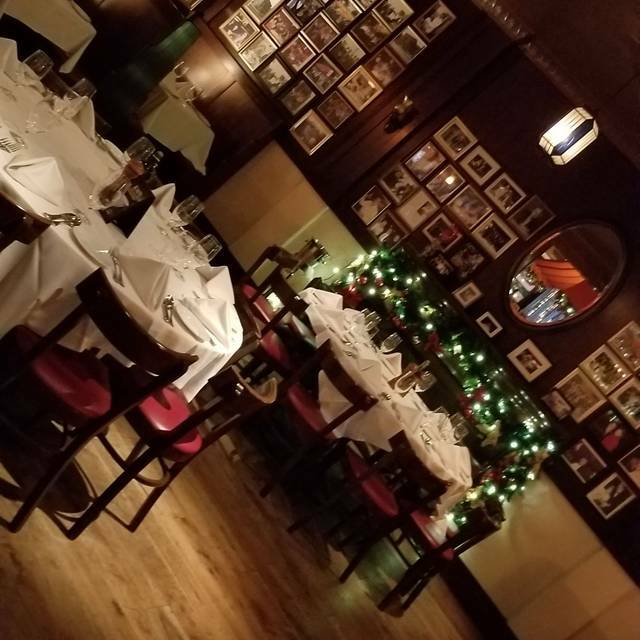 AS New Yorkers we were excited to experience Rao's- the food was good, service was great and the ambiance was phenomenal. Nice restaurant. Good food and nice atmosphere and service. Felt a little pushed as the food came out very fast. We had 9:00 reservations so they were trying to get out of there ASAP. I understand the situation but owning restaurants myself, it is frustrating, especially at their prices. Once again Rao’s did not disappoint. From the wine, to the food, to the service. Just excellent! 50th Birthday! It was great and so was Moses our waiter. Great service, food a bit overpriced for the quality. 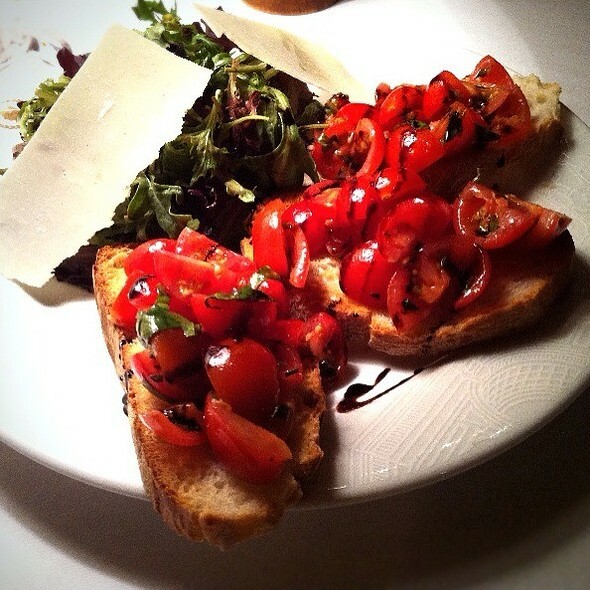 You’ll pay the same price at one of the finer Italian dining spots at Bellagio or Palazzo. Muy normal para Las Vegas. Viven del recuerdo de lo que fue alguna vez. Have been here before. The love for the place has diminished. The famous fabulous meatballs were just meatballs. The veal parmesian was over cooked and tough. The pasta was fabulous. The salads were good. The ice cream was very good. Rao's is pricey. We did not sit inside we sat outside, and there was no ambiance. It was crowded march madness weekend. Service was excellent. But my feelings are there are lots of italian places and less expensive. Meatballs are amazing! Can't beat the Lemon Chicken! Excellent food and service. Like everything else in Vegas pricey. Everything we expected. Delicious food but we knew it was pricey. That was a theme in Vegas no matter where you go.